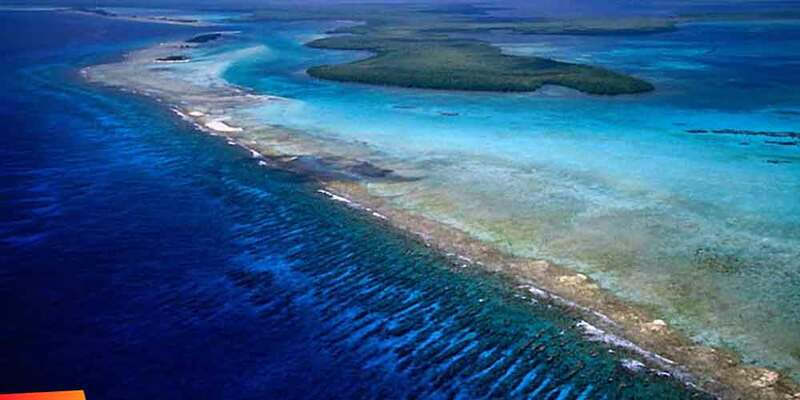 Belize is trying to drill for oil on their barrier reef. Here is an article about the outcry currently going on. This would also affect the reef system here in Costa Maya and Mahahual also. The Belize government has announced that its barrier reef system is a potential site for oil mining. Update 10/20: The government of Belize has agreed to suspend seismic operations for the time being after public outcry. They plan to consult with stakeholders to review whether operations should continue. In the meantime, Oceana Belize plans to create both a moratorium on offshore drilling and a referendum to better showcase the Belizean peoples’ opinion on the matter. Our original story is below. Last week, a preliminary obituary for the Great Barrier Reef went viral. This week brings the news that the world’s second largest reef system, located off the shores of Belize, will be the new site for seismic oil exploration, and ultimately, drilling. In a country known for its natural beauty and eco-tourism, this could irreparably change local lives and the future of tourism. Teachers across the country have gone on strike to call for a reduction in government corruption. Despite this, Prime Minister Dean Barrow and the government of Belize have decided to move forward with a plan that, according to the World Wildlife Fund, “involves using airguns to blast shock waves through the water that are powerful enough to penetrate the seafloor” less than one mile from the UNESCO Heritage site of the Belize Barrier Reef Reserve System. Because of its natural beauty and biodiversity, Belize attracts a tremendous amount of ecotourism. Yet this controversial method of oil exploration has the ability to send shockwaves thousands of miles, causing irreparable damage to marine wildlife like whales, dolphins, and manatees, while reducing the catch rate in fishing, a major source of income for many of the nation’s people. It is estimated that 190,000 out of Belize’s total population of 332,000 will have their jobs negatively affected by the exploration. T+L spoke with Janelle Chanona, Vice President for Oceana Belize, who told us the decision came as a shock. “It’s disrespectful that Belizean stakeholders that depend on this shared natural resource for their lives are not being meaningfully engaged,” she told Travel + Leisure, explaining that the government hid this deal behind closed doors for three years, until it was too late to stop it. Chanona says that in a public poll conducted by Belize Coalition to Save Our Natural Heritage in 2012, “more than 96 percent of Belizeans said no, we do not want offshore oil,” leading to the current outcry from the public. Hundreds of outraged locals are organizing their boats to create blockades against contracted surveyor Seabird Exploration’s survey ship the Northern Explorer and its auxiliary vessel the Campeche. Testing was supposed to begin tomorrow, Oct. 20, but reporters from both the San Pedro Sun and the San Pedro Scoop have observed the Northern Explorer beginning explorations ahead of schedule, fueling the widespread belief that corruption is at the root of this situation. Belize’s Reef System Is in Imminent DangerOceana and the environmental community are urging the government of Belize to stay their decision until the proper assessments can be performed, while encouraging anyone who is bothered by this to speak out. To protect the Belize Barrier Reef, the World Wildlife Fund has organized a petition directed at the Prime Minister—it’s been signed by more than 161,000 people have signed as of publication time.